Doeskin Ranch offers the public, school groups, and organizations the chance to experience and learn about the history, nature, and resource management on the refuge. Location: Balcones Canyonlands National Wildlife Refuge, On CR 1174 east of Marble Falls, northwest of Austin. This is the largest, most ecologically diverse area on the refuge open to the public. Visitors can enjoy the wide array of habitats by walking the four trails totaling 3.5 miles. Those unable to walk two of the more difficult trails can still learn about the area through guided nature walks, interpretive exhibits, and other programs. The three primary trails begin near each other so that it is easy to go from one trail loop to the next. Trails weave in and out of the trees so that at least part of the time hikers can seek shade from the hot central Texas sun. To prevent disturbance as much as possible, the trail system was created using old roads, existing trails, and other disturbed areas. In an effort to protect the relatively fragile riparian habitat and to prevent visitors from making their own trails to the creek, a spur trail was constructed near the place visitors would have their first access to the creek. The spur goes along the creek in a a gravel shoreline where vegetation and soil is mostly absent. a bluff on the other side prevents visitors from crossing the creek. 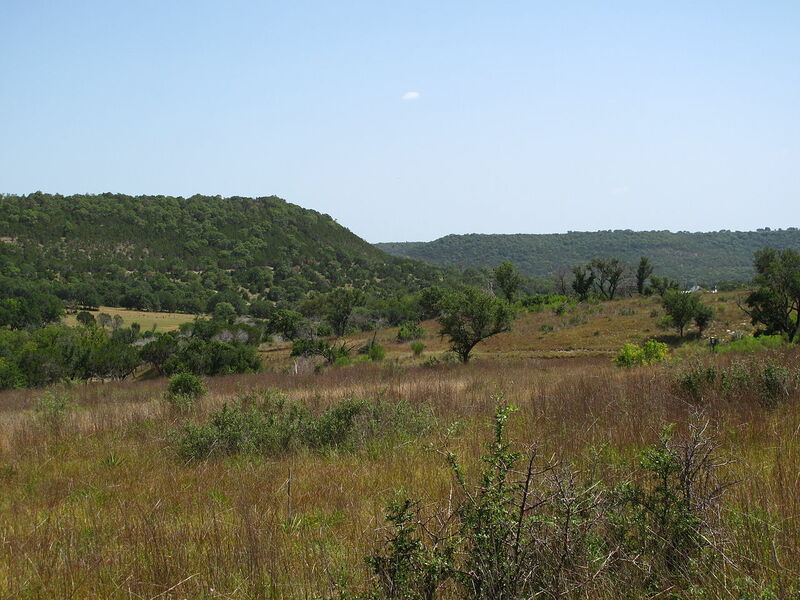 These trails were constructed by the Central Texas Trail Tamers, Boy Scouts of America, and the Friends of Balcones NWR. The Central Texas Trail tamers are "professional trail builders" that construct trails the correct way to minimize future maintenance. Special events such as the two-weekend celebration during National wildlife Refuge Week and the Texas Songbird Festival are held. Volunteers, signs, and supplies are contributed by the Friends group, Travis Audubon society, National Wildlife Federation, Horned Lizard Society, Lago Vista Chamber of Commerce, Capital Area Master Naturalists, Highland Lakes Master Naturalists, and the Sun City Nature Club. Trail inspection, construction, and maintenance are performed primarily by volunteers. Virtually all programs and guided nature walks are conducted by volunteers. Doeskin Ranch offers visitors a chance to see a canyon, prairies, wooded areas, and sweeping scenic vistas of the Texas hill country. Hikers can see an area being transformed from a prairie to the shrubby habitat of the endangered black-capped vireo, as well as the wooded habitat of the endangered golden-cheek warbler. The refuge was established to provide habitat for these two endangered species. A view of the Balcones Canyonlands National Wildlife Refuge. Photo by Matthewrutledge.